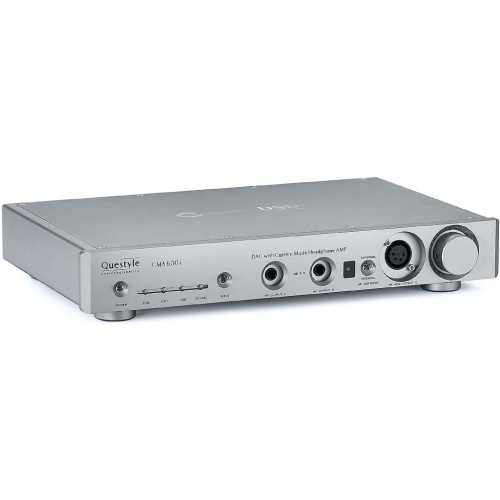 The Questyle Audio CMA600i headphone amplifier section follows Questyle’s patented "Current Mode Amplification" design used in their flagship headphone amplifier, the Questyle Audio CMA800R. This model has impressively low 0.00034% distortion, with up to 950mW on tap, for lowimpedance headphones. The CMA600i doesn’t shy away from the heaviest loads either, with a 4-pin balanced XLR connection to maximise sound quality. A premium DAC section with True DSD Unlike other DACs that claim DSD support, yet in actuality provide DoP (DSD over PCM), the Questyle Audio CMA600i accepts the DSD bit-stream directly from your computer, bypassing your computer’s audio processing and digital volume control as well as the Questyle Audio CMA600i’s digital filters, to provide True DSD, the way it was meant to be heard. 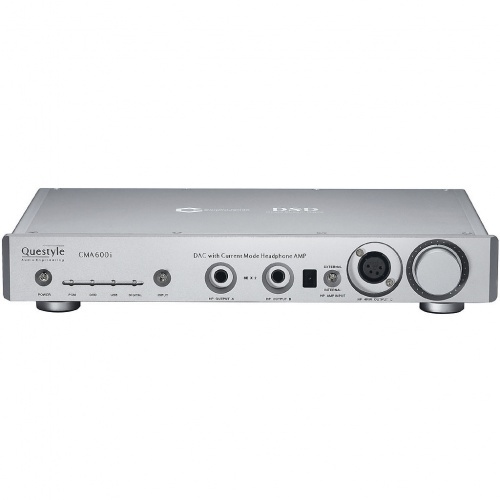 Support for the highest quality formats The Questyle CMA600i is designed to grow with your music collection. 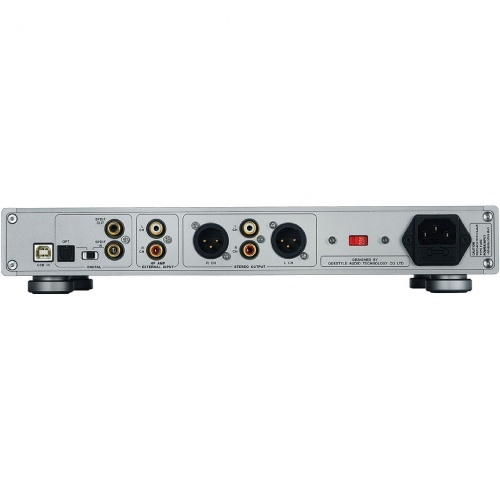 As well as supporting standard digital files via USB, toslink or coaxial SPDIF connection the CMA600i is also fully compliant with files up to DSD256 and PCM 384k/32bit over USB. A separate pre-amplifier section The Pre-Amplifier output is another shared feature of the Questyle Audio CMA800i and CMA600i. Many manufacturers, when designing an all-in-one model, use the headphone amplifier circuit loop to support the pre-amplifier output to reduce costs. To achieve the best possible sound performance, the Questyle Audio CMA600i is designed with a totally independent pre-amplifier. 10mm Thick Aluminium cover and bottom chassis The Questyle Audio CMA600i’s aluminium chassis is produced by Foxconn, using precise CNC tooling machines. The upper cover and bottom chassis “mutual bit” structural design, provides the Questyle Audio CMA600i with stable heat, excellent control of sympathetic vibration and excellent shielding from RFI/EMI radiation. Part of a DAC Amp and headphone purchase... Again, service was excellent (thanks to Peter)... System is great. It plays all my AIFF and Hi-Res files with no issues, through the balanced XLR output to my Mr Speakers headphones. A good first purchase of high-end audio equipment.